Letter from Rev. 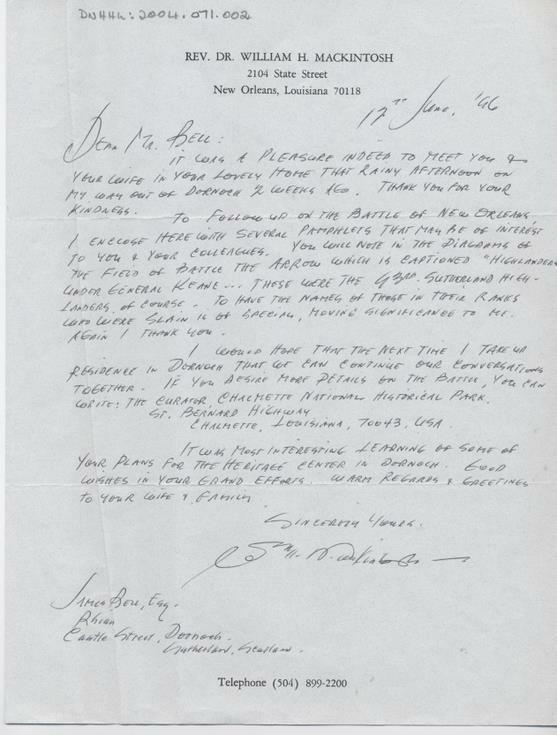 Dr. H. Mackintosh, Louisiana, to Jimmy Bell with information about the Battle of New Orleans involving the 93rd Sutherland Highlanders. Letter handwritten on blue paper.